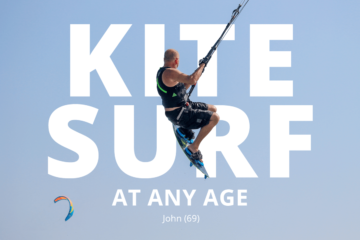 Even if you have a better wind chance during winter months at other spot, this spot wins with lifestyle, atmosphere and the extremely good kite centers across El Gouna. Unfortunately El Gouna as not as windy as for instance Hamata but in the months of June – September you can get quite a lot of windy days. 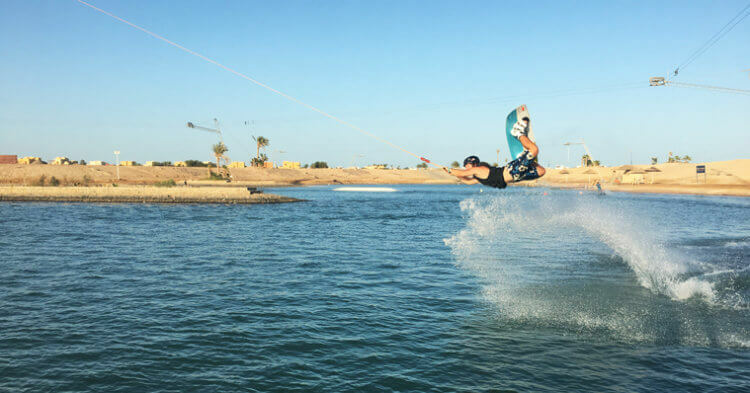 El Gouna has a loot of beautiful flatwater spaces and if you ride further out choppy water. Hurghada airport (airport code HRG) is just around half an hour away from El Gouna. 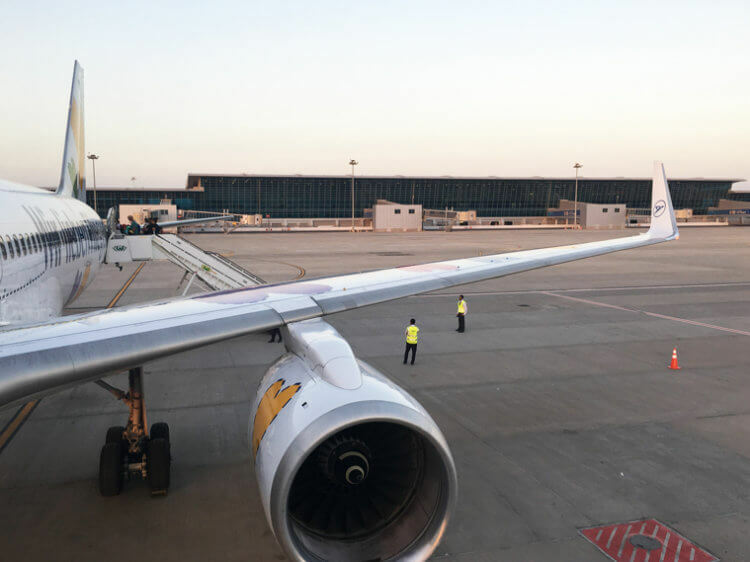 You can find good deals with a lot of European airlines and sometimes it even makes sense to book a package with flight and accomodation since it’s cheaper as the full package. For me the transfer was included in my package although I had to pay 25 Euros extra for my kite luggage (it’s in the small print). 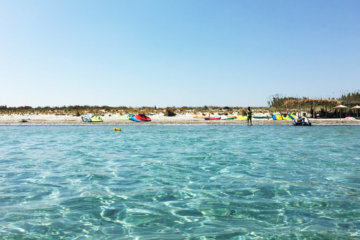 If you arrange the kite transfer with one of the kite schools the kite luggage is included and it only costs 20 Euros ? . As you can find really good deals which are e.g. with flight, hotel and breakfast or all-inclusive included it’s one of the cheapest options to kitesurf close to Europe for a decent price. 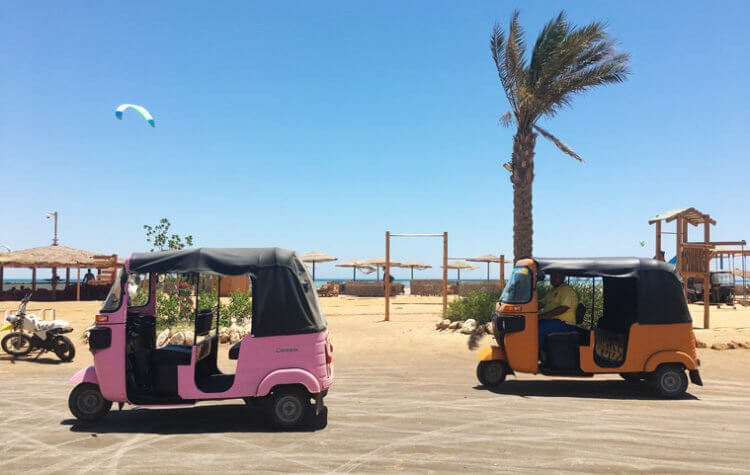 El Gouna has a pretty cool system with Tuk Tuk’s or Tucxi’s, Uber and Taxis. They basically all cost the same but riding in a Tuk Tuk is really the best experience ? Uber: I first thought it was a joke when I saw Tuk Tuk’s that had some Uber sticker on their front – but yes, you can also order your Uber Tuk Tuk regularly via the App! I’ve never done it since there are a lot of Tuk Tuks around. Tuk Tuk: Fares for Tuk Tuk’s are set, which is very comfortable since you don’t have to discuss every ride: they’re 13 EGP for 1 person, 25 EGP for up to 3 persons – so a ride will cost you like 60 Cents. Some hotels have a shuttle to the kite stations but going with a Tuk Tuk is just as easy. El Gouna is pretty long-stretched and it depends quite a bit at which kite station you go in, that’s why I wrote the spot details for each station. 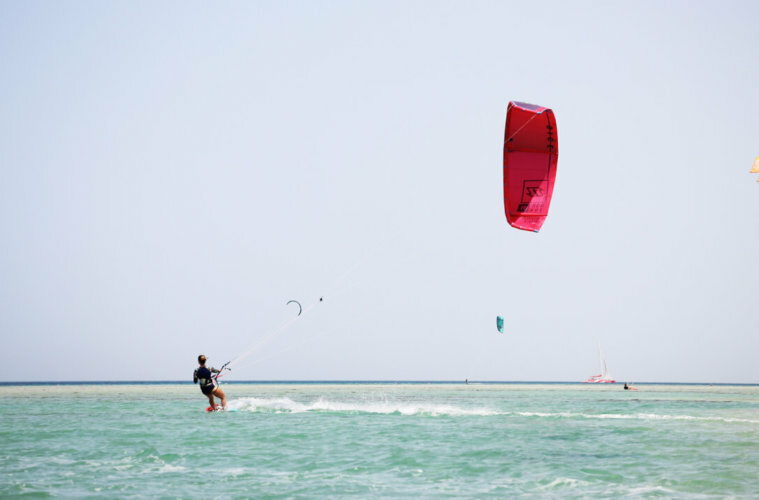 But all in all pretty much all the kite surf schools in El Gouna are good. I loved the atmosphere and not without a reason KBC won the trip advisor award 4 consecutive years in a row. This kite station has it all: school, storage, locker, restaurant, table football, table tennis and some games for the no-wind-days, kite storage during your session where you can leave your kites pumped, kite washing facilities, early bird storage (which is open and supervised 24/7 if you want to do an early session before 9 am or after the school is closed) different chill out areas and a relaxed atmosphere. For me as a solo-traveler it was the best choice since it’s super easy to get to know people there. The only disadvantage is that during low-tide it’s so shallow you’ll have to walk out and can only cross the reef at the upper point. Plus there are quite a lot of rocks in the water which are marked with buoys but still annoying with low tide. It’s all easily manageable though if you just check the tide tables. The wind is supposed to be 1 or 2 knots stronger up there and after kiting myself from KBC to Elements I must say it’s true, so on a low-wind-day you’re more likely to kite up there ? There are almost no rocks in the water and you can easily go out at low tide so just for kitesurfing reasons I preferred Elements. Since I booked at KBC I simply kited upwind sometimes. Since it kind of belongs to the Mövenpick hotel it’s very convenient if you stay there as well. All the showers restaurants etc are not in the station but in the Mövenpick hotel since it’s right on the grounds. The spot depends a bit on the tides so with low tide, just as in KBC, they can’t teach. 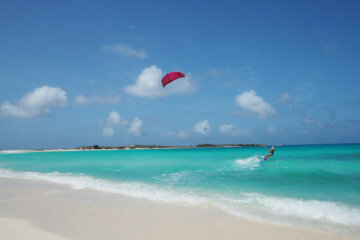 As an advanced kitesurfer you can launch from the beach, if you’re a beginner or taking lessons you will be taken out to the sandbank to be taught and to launch. Depending on which wind forecast works, you can check the Element Website which has live data and the real-time wind of the day, as well as kite people. KBC has a free app you can download with live data and wind graph, which was also great but it wouldn’t always show the latest wind. I can only speak for KBC since I was staying there but the whole atmosphere is very laid-back and it’s easy to get to know new people, perfect for solo-travelers! It doesn’t really matter a lot if you stay in the Marina area or close to downtown – since it is only a 3-minute Tuk Tuk ride from downtown to the Marina. 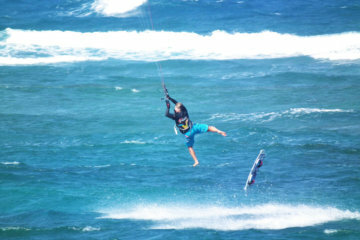 If you plan on kiting at Elements or KBC, it makes sense to choose a hotel close to the Marina. I stayed in Mosaique, a small boutique hotel, and it was beautiful and close to the kite station. In the Marina as well es in Downtown alike you have numerous options of restaurants, bars and shops. 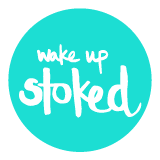 I usually book my hotels via booking.com or (my latest discovery on which I found a good deal for El Gouna with flight and hotel combined, German portal) is check24.com. 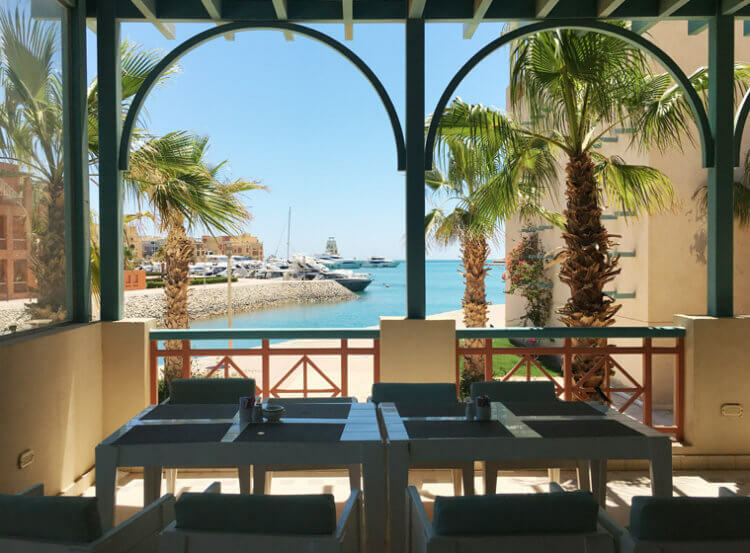 There are a lot of restaurants in the Marina as well as Downtown El Gouna you can choose from, anything from Egyptian to Turkish, Thai, Vietnamese, Japanese, Italian, Mediterranean, Oriental and German/Swiss. In the Marina as well as in Downtown El Gouna you can find the supermarket Best Way which has a pretty good selection (especially of chocolate ? ). Gourmet Burgers – I had the Beef Avocado Burger with Guacamole and Sweet Potato fries for instance. Yummy! A small place with cheap option so you can simply put together your burger of choice – my favorite was beef burger with Avocado and Buffalo Mozzarella and cost me around 80 EGP, fries small are 20 EGP, big 40 EGP so you’ll have a quick and yummy dinner. They also have a vegetarian and chicken burger. Healthy food options and lots of good other stuff, great breakfast place. Unfortunately it was closed during Ramadan when I was there. Locals say they have the best meat in El Gouna! Unfortunately it was closed during Ramadan when I was there. I booked my trip unknowingly during Ramadan. You won’t feel a big difference as a tourist except that some restaurants remain closed during that month and if you go to the restaurant/supermarket during sunset you’ll just have to wait 20 minutes since this is the time when they have breakfast. A really cool cable park with 4 different cables for beginners and advanced. They also have a restaurant, pool, playground for the kids and an Egyptian style coffee place. The atmosphere is super relaxed and there are a lot of locals and kids who come here after school and seriously have some good styles! 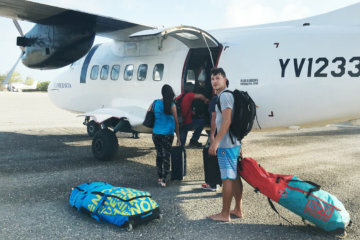 Plus, all of the sports-addicted kitesurfers and kite teachers will be here on no-windy days ? The Red Sea is simply one of the best Diving areas in the world. There are nice day trips to different diving/snorkeling spots which are really worth it on a non windy day! Since El Gouna is very open-minded, I felt comfortable there also as a solo-traveling girl. I didn’t meet many other digital nomads but there are a lot of kite teachers and people working on yachts for the season so there is kind of an expat community which you easily get to know after a few nights of partying. The easiest is to just get an Egyptian Simcard right away when you arrive at Hurghada airport. Conveniently they have a Vodafone and Orange stand at the airport and you’ll get your simcard within a few minutes. I mostly had 4G with Vodafone. 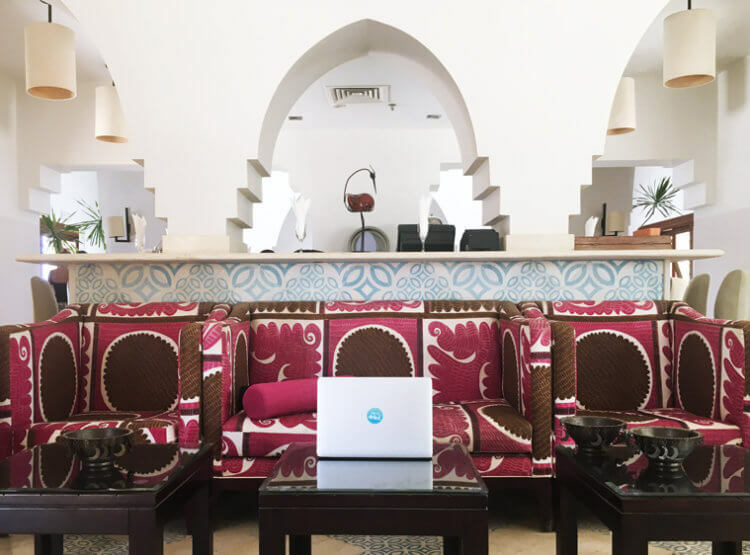 I first wanted to check out El Gouna on a 12-day stay before thinking about a longer term stay (since I usually like to stay 1 – 2 months at a place to really settle in). The free Wifi at the hotel and kite stations is really up and down and mostly doesn’t work. 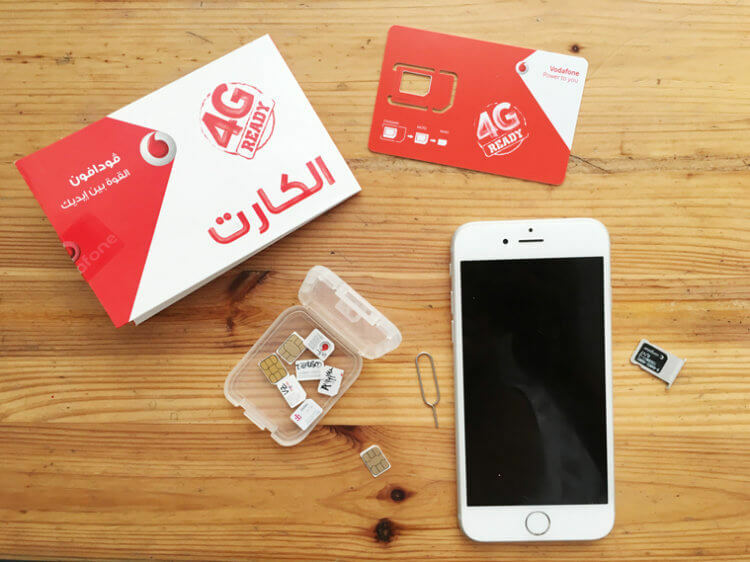 You can pay hourly or daily to upgrade your Wifi in your hotel room which was 40 EGP per hour / 160 EGP per day / 440 EGP per week for one device with a 2MB rate. On no-wind days it would be super slow anyways but it worked. For Skype Calls I would go outside and use my mobile internet which worked fine most of the times. If you want to live there longer-term you can get super nice apartments for around 400-500 Euros/month and it’s easiest if you buy or rent a scooter/motorbike as well for your stay. Your own internet line will work perfectly and is enough for working properly usually. From what I saw there aren’t really cafes where you can work although some restaurants have free Wifi. G*space, a super nicely designed Coworking Space just opened in April 2017 and was almost finished when I was there in June 2017 (you could already work in there actually). The interior is really up-to-date and high-end from what I saw. Nice review Miriam! 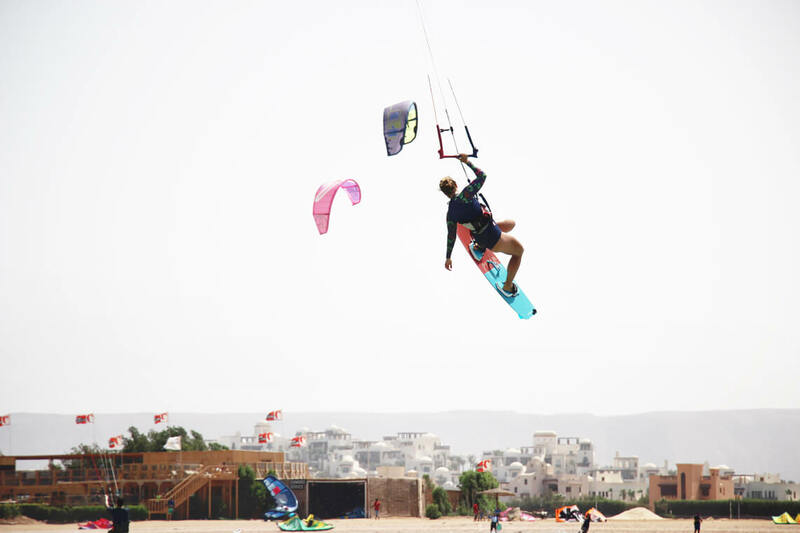 It seems we had similarly great experiences in El Gouna (my review here: http://globalkitespots.com/the-ultimate-guide-to-kitesurfing-in-el-gouna-egypt-in-october/). I loved Le Garage as well! Did you try Mori sushi? Thanks for the nice review, Miriam. It helped to a great deal to plan my 3 day excursion in May.